Wes Santee was the top American miler in the 1950s and was considered a threat to be the first man to run a mile under four minutes. 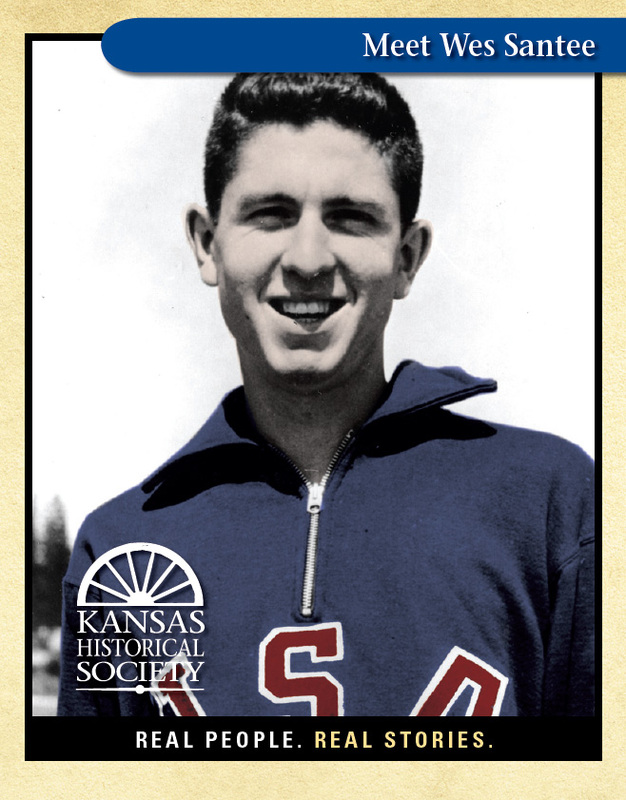 He ran for the University of Kansas, where he won NCAA titles in the mile (1953), 5,000 metres (1952), and cross-country (1953). Santee was AAU Champion in the 1,500/mile in 1952-53 and 1955, and placed second in the 3-mile in 1951. Shortly after Roger Bannister broke the 4-minute barrier, Santee ran a mile in 4:00.6 in Compton, California, but his intermediate time for 1,500 metres set a world record of 3:42.8. The next night he ran 4:00.7 in Stockton, California, which at the time gave him three of the four fastest miles ever run, surpassed only by Bannister’s barrier-breaker. Santee also set two indoor world records for the mile (1954/55). In 1955 he won a silver medal in the 1,500 at the Pan-American Games. Santee would never run a four-minute mile, running his career best of 4:00.5 in 1955. Then early in 1956, he was banned from amateur competition by the AAU for taking excessive expense money, despite a US senator taking up his cause. Santee served in the US Marine Corps for two years during his career, joining in July 1953. He then spent 30 years in the Marine Corps Reserves, later serving as president of the Marine Corps Reserve Officers Association. He made his career in the insurance business in his native Kansas. Santee also served several terms on the President’s Council for Physical Fitness. Personal Bests: 800 – 1:48.3 (1953); 1500 – 3:42.8 (1954); Mile – 4:00.5 (1955); 2 miles – 8:58.0 (1954); 5000 – 14:32.0 (1952). These daily Olympic bios are the best part of my work day. We appreciate that. Thank you. We will try to run them every 3 days or so until … And we will be trying to pick out the most interesting ones also.